Burdette Park - Evansville, IN. Who's ready to go fast - and downhill? Evansville's legendary track is one of the last remaining downhill courses in our sport and claims to be the "Fastest downhill BMX racing track in the nation." Located at the top of the hill of Burdette Park in Evansville IN., the Evansville track winds down and around, with as many twists, turns and high-speeds as any Six Flaggs roller-coaster. 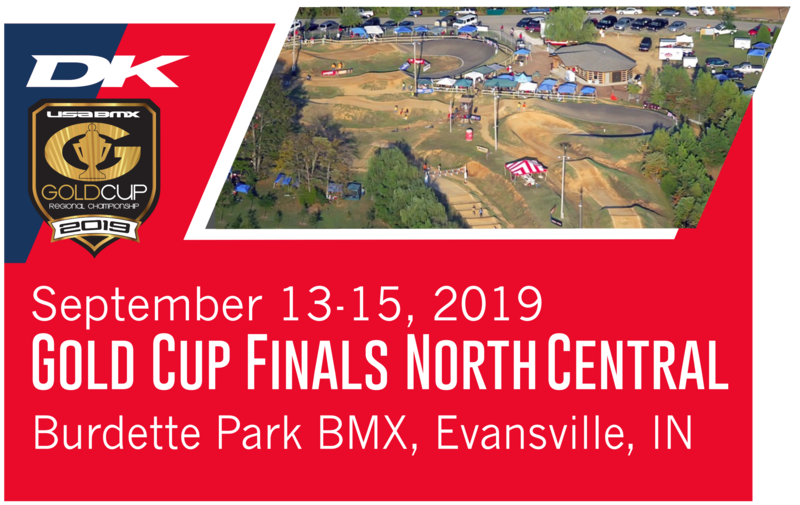 Having been around since 1977, these hallowed grounds have hosted many great races throughout the past four decades - and mid-September's Gold Cup Championship Finals NC is sure to add to the lore and allure of Burdette Park BMX. 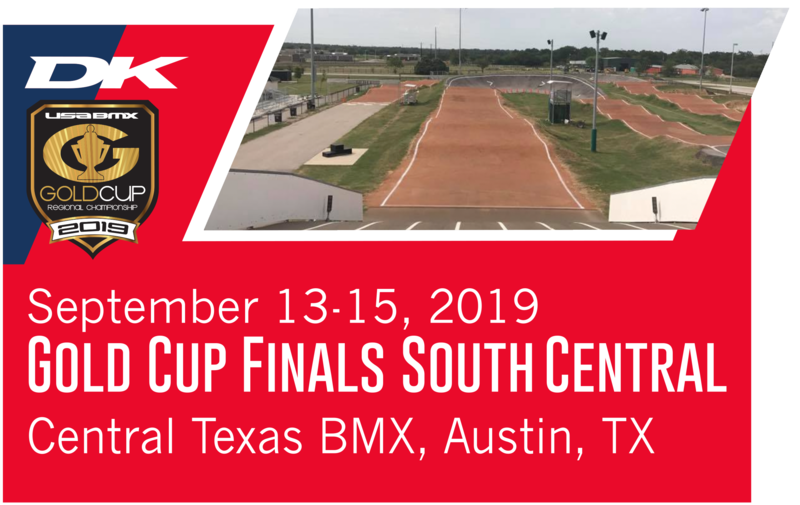 The South Central Gold Cup Finals is sure to be an awesome one, the BMX Worlds converges on the Austin area - home of one of the newest and greatest city-funded BMX facilities; Central Texas BMX. With its 5-meter start, this track is both fast and fun, with a long, wide-open last turn that see's plenty of action. Of course - we are talking Austin, Texas! Known as one of the biggest destinations in the State, Austin is known as the #Live music capital of the world, as well as a foodie's heaven, with plenty of BBQ that can't be beat. With the Gold Cup experience, you'll still have plenty of time to feast and enjoy all that Austin, Texas has to offer. Tanglewood BMX - Clemmons, NC. 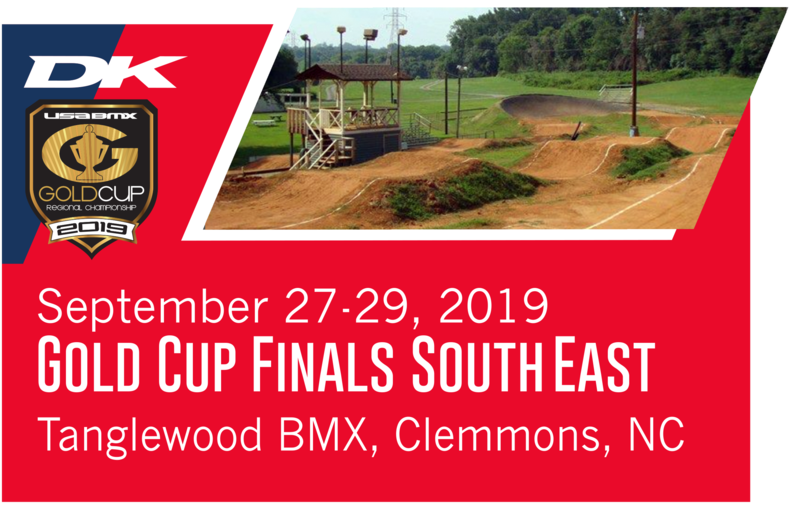 On the last weekend of September, Tanglewood BMX in North Carolina will be hosting the South EastGold Cup Finals, where the Chase for the Yellow Plates will be decided under fast and furious racing conditions. Much like many of the Gold Cup host-tracks, the Tanglewood course is not your average layout. Emerald Valley BMX - Eugene, OR. The Northwest Gold Cup Finals returns to the outskirts of The Duck's Autzen Stadium, in Eugene, OR. - much to the praise and delight of all NW racers and their families. 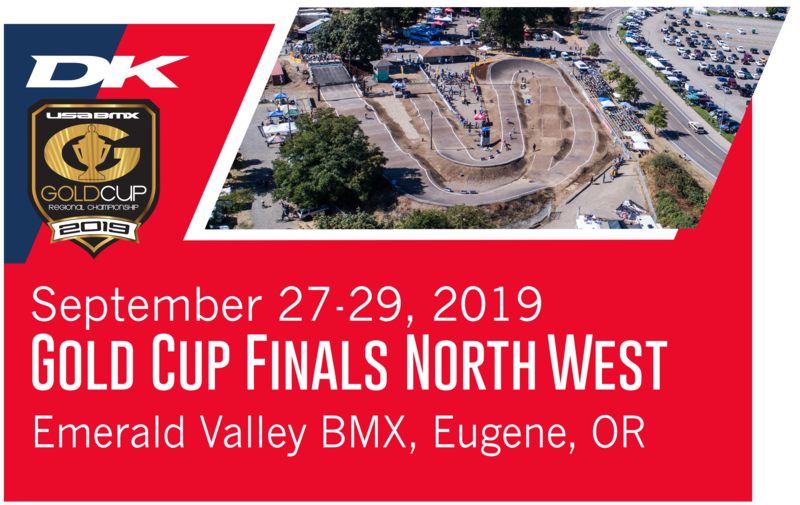 Emerald Valley BMX is the perfect host for the "Chase for the Yellow Plate" - having previously held Gold Cup Finals, and even Nationals. Shoreham BMX - Shoreham, NY. Another legendary track that has been leading the charge in their state for decades, spawning a long list of talented top-ranked amateurs and pros. Situated underneath the umbrella of trees at Robert C. Reid, Sr. Park in The Town of Brookhaven on Long Island. 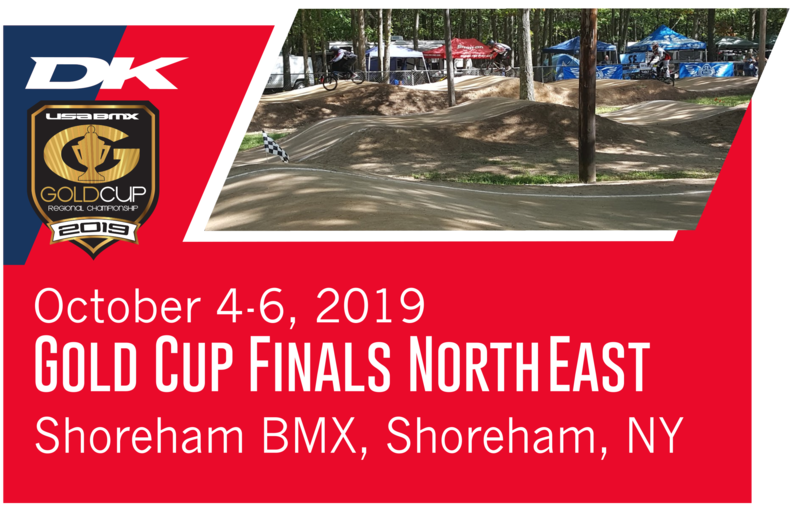 Having hosted a number of major events in the 80'sand 90's, this will be the first time a big USA BMX event has come to Shoreham - and it will be one you won't want to miss! Chula Vista BMX - Chula Vista, CA. 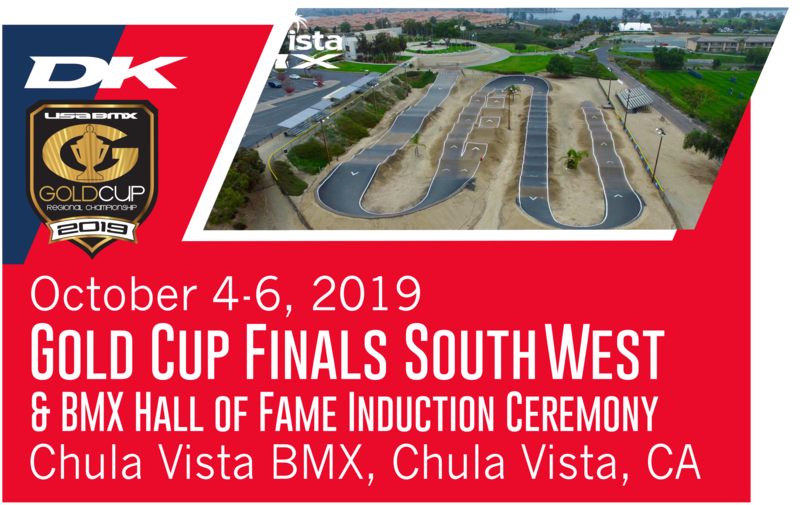 This year's Southwest Gold Cup Finals will be one for the history books - as the fastest West Coast racers will vie for the yellow 1, 2 and 3-plates on one of SoCal's most pristine BMX facilities. Not only that, but Saturday night will host the ticketed National BMX Hall of Fame Induction ceremony - where six new BMX legends will join the Hall of Fame in the glimmer of the Olympic flame. But that's not all! 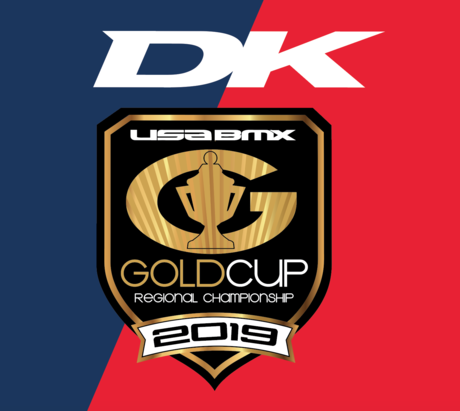 Rumor has it that this very same weekend, USA Cycling will be holding their first-ever U.S. Freestyle National Championships - with America's top Olympic hopefuls competing for their spot on Team USA for Tokyo 2020, and a brand new "park" course that will be buitl right across from the Chula Am-track. Just one more reason to be there on the first weekend in October! 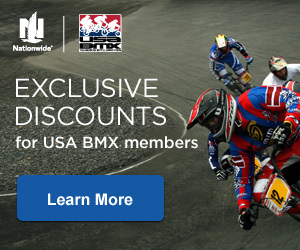 It's sure to be one action-packed weekend of BMX, for all generations and all disciplines. STEP 1: Compete at Gold Cup Qualifiers. In 2019, there will be 81 GC races held from January to mid-August, in 44 states and Canadian provinces. Finishes from two Gold Cup Qualifiers will be counted. STEP 2: Compete on both Saturday and Sunday at any six of the Gold Cup Regional Championship Finals with the maximum of four scores counting toward the overall Gold Cup points. * A maximum of four (4) class or cruiser scores will be counted. Two (2) scores from the rider's best Qualifier finishes, and the other two (2) being his/her Saturday and Sunday finshes at the Gold Cup Final. BONUS STEP: Riders can also earn up to 4 additional bonus points by racing locals. Racers will be given 1 extra point for every two (2) single point races they compete in, on or before August 15th, with a maximum of four (4) bonus points given. ie: Race eight locals and earn 4 bonus points. It could make the difference between a No.1 plate or No.3, or no plate at all.